Well it is that time of year when all those little ol germs start to creep their way out and attach themselves to everyone and anything! Now that I am at the school everyday…wiping tears as well as noses, holding hands with little kindies and collecting pocketfuls of all kinds of goodies that are treasured gifts from the playground…I can’t stop thinking about germs! I’m not paranoid…ok maybe I am just a little, but I’ve noticed already that many of my co workers have already been out sick, more than once since school has started! Some people seem to be ill all the time, and pick up every bug that’s going. In contrast, others always seem to stay healthy and very rarely do they get a cold. 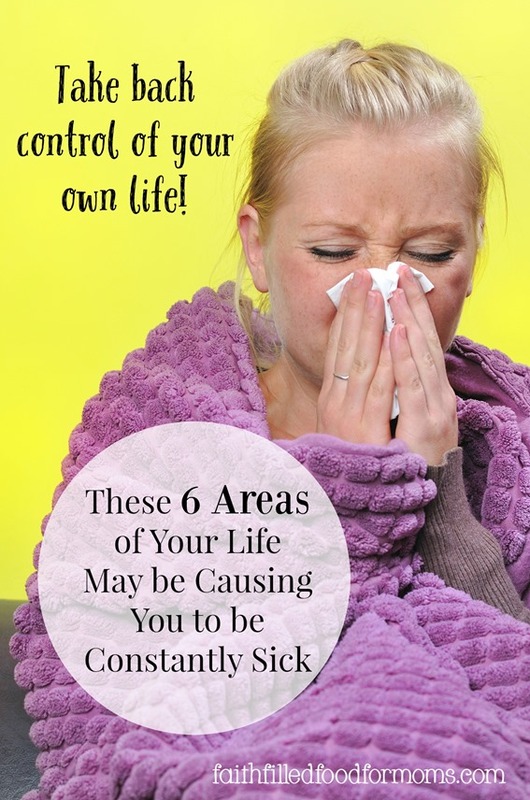 6 areas of your life may be causing you to be constantly sick and for those who get sick a lot, the impact on overall quality of life can be devastating. Lack of energy that comes with not feeling well can affect how well you perform at work and at home. It can also lead to mild depression as down time begins to take its toll. There are of course many reasons why some are more susceptible than others to sickness and I am in no way judging or saying “these” are the reasons…but some of them could be… I know from experience and a long road of learning how to properly care for myself. If you find yourself sick all the time…maybe it’s time to take a look and be honest with yourself. Maybe it’s time to take ownership of your own health. The first thing you should do is see your doctor and get a full checkup to be sure that there is not something serious causing you to be ill more than the average person is. Second, keep in mind that it is not simple luck that some are very healthy, while you seem to catch something every other month. There are some well-researched reasons as to why some people get ill much more often than others do. There are so many sayings around about healthy eating, such as ‘you are what you eat’; this has never been truer. Your body needs a well-balanced, healthy diet that provides all the essential food groups and vitamins. Without this, your body cannot function effectively and fight any infections away. Different people, and those of different ages, require a slightly different diet. It is important to know what diet suits your body best, and try to stick to it. This will ensure your body is in fighting fit condition, so any small bug that comes your way can quickly and easily be fought off without it turning into a proper illness. Quite simply, if you don’t get enough sleep, you will become ill. Sleep enables the body to rest and recover, and without this, it will be unable to function properly. During sleep, the immune system produces proteins that fight inflammation and disease. When you are sick or stressed, your body needs even more of these proteins; without sleep, your body simply cannot make enough to fit the infection. While sleep deprivation leads to increased illness like colds and flu, it has been shown to have much more harmful and long lasting effects. Conditions such as heart disease, obesity, and diabetes have all been linked to sleep deprivation. We all experience stress in some form, and in small doses, it can be healthy. However, when we become too stressed for too long, our health is significantly affected. Research has repeatedly shown that chronic stress directly affects our immune system, weakening it and making us much more susceptible to illnesses. Stress directly contributes to minor illnesses, but also much more serious conditions such as heart disease, obesity, and cardiovascular disease. Too much stress is also linked to sleep deprivation – how many times have you not been able to sleep because you have too much on your mind that you worrying or stressing about? In short, too much stress is very bad for our health. While all vitamins and nutrients are important, some are especially good at fighting off infection and illnesses. Magnesium in particular, helps us to manage stress, and react to situations. When we are stressed, unwell or sometimes even just cold, we are using up our stores of magnesium. Unless this is replaced, we will be running low and therefore more likely to get ill. Similarly, vitamin D is essential for many basic functions, and it is much harder to get sufficient levels in the winter. Vitamin C is an essential component to the immune system, and without it, you will be much more likely to get ill. If you are not getting enough vitamins and other necessary nutrients through your daily diet, consider taking a supplement to ensure you are always topped up and able to fight any illness that comes your way. Every part of our body depends on a sufficient amount of water to function correctly. Without enough water, vital organs and muscles will struggle. Each day we lose a large quantity of water through our bowels, sweating, and urinating. Imagine how dry and sore your throat would be without any moisture or water. Dehydration happens when you are not replacing lost fluids adequately, and your body starts to struggle. It may not seem like a big problem at first, as the symptoms are similar to that of a mild cold or headache. However, dehydration can become life threatening if left long enough. Are you a workaholic? Do you work much more than you rest or relax? Is work always your first and foremost priority? This can well contribute to being run down and when you are run down, you are more susceptible to illness. 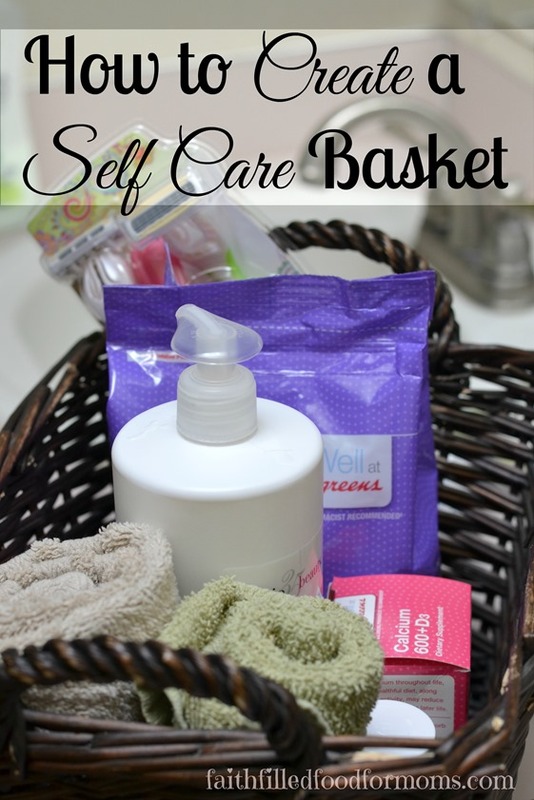 There is no magic to wellness and I can’t tell you how to solve each problem as everybody’s life is different and has different circumstances; it really is all about self-care. Ask the Lord to show you what will work for YOU. It takes effort to maintain a high level of good health, but you are well worth it! 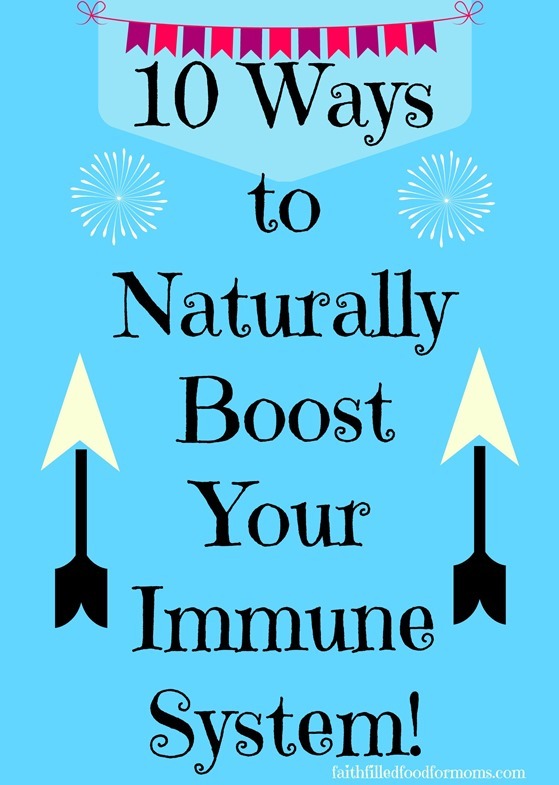 There are also some simple things you can try to keep your immune system up. Take good care of yourselves friends! Linking up at these parties! You make a good challenge – time to have a serious look at yourself!! It is amazing how our body is affected by not only the physical things we do to it (diet etc) but also the emotional and relational stresses. Good article. Hi Belinda! Yes it’s crazy how the balancing act of staying healthy encompasses SO much more than just out diet. Although that’s a biggie! 😀 Thank you so much for stopping by and have a blessed weekend!